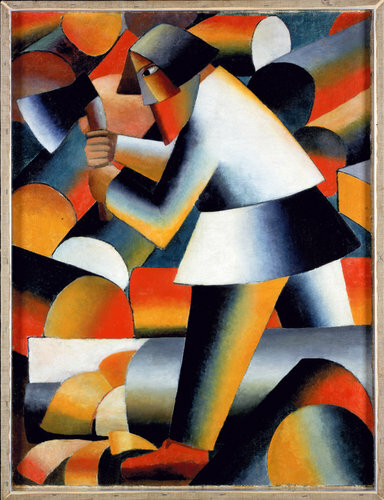 Kazimir Malevich’s impact on the early-Twentieth century Russian avant-garde is difficult to ignore. Pushing forward the “new art,” he pioneered early minimalist practices and pushed the rupture of modernist art almost simultaneously with the Cubist deconstructions happening further west. But it was Malevich that ultimately took these same processes to new abstractions, and perhaps what could be considered their limit, rendering pure geometric forms in contrasting, minimal explorations of color and space, ultimately developing the language that would come to define much of Twentieth century fine art. It’s in this context that Amsterdam’s Stedelijk Museum presents Kazimir Malevich and the Russian Avant-garde, an exhibition of work that explores both the artist’s momentous impact on the thought and execution of the avant-garde, and the work of his contemporaries, examining not only the artist’s contributions to the budding philosophy of Suprematism, but also its conflicting and occasionally oppositional stance towards Constructivism, the enduring artistic forms of the era. Presented by curators Geurt Imanse and Bart Rutten, in collaboration with a confederation of museums, including Tate Modern, London, and the Art and Exhibition Hall of the Federal Republic of Germany (Bundeskunsthalle), Bonn (which will host the exhibition later this year), the exhibition presents more than 500 works from their respective collections, combined with works from the Khardzhiev and Costakis collections, making it the largest exhibitions devoted to the artist in over twenty years. 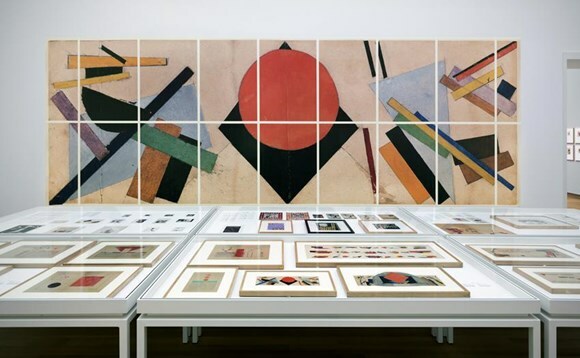 Presented alongside his companions, contemporaries and students that Malevich’s work underlines the artist’s essential role as an educator and mentor to many of Russia’s younger artists, who would go on to develop many of his ideas. 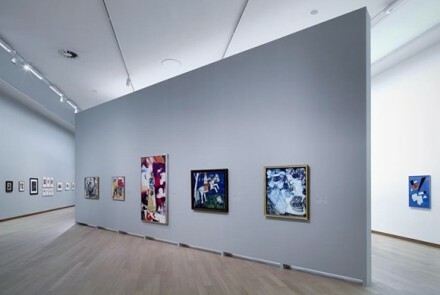 In equal measure, the show underlines strong parallels between the artist’s revolutionary zeal for the avant-garde, and the historical backdrop of the rise of Russian communism. 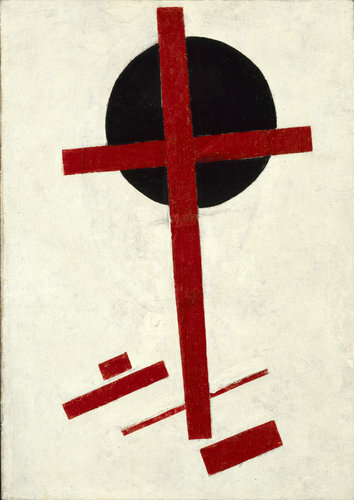 It’s hard to extract the fervor of the October Revolution from Malevich’s work, the artist preaching a new liberation from mannerism that pushed feeling and emotion on the canvas towards explorations of its capabilities and limits, and perhaps more importantly, the conventions and possibilities for expression within its bounds. It’s these principles that would ultimately inform the work of artists like Kandinsky, or Chagall. But it’s the depth of the show that ultimately makes the Stedelijk’s presentation so compelling. 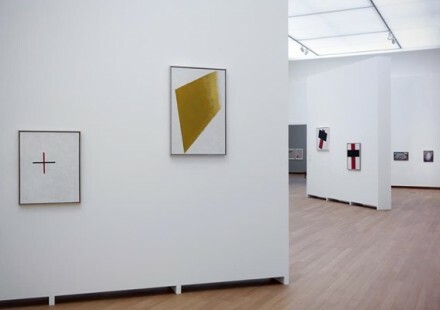 Moving beyond Malevich’s most well-known works, the exhibition delves into the artist’s continued experimentations with figuration, composition and symbol. Presented alongside Malevich’s most iconic works are a series of the artist’s impressionist explorations, as well as a selection of works on paper, providing a nuanced backdrop and extended historical consideration that make this show an essential exhibition for those interested in the genesis and continuation of the European avant-garde, a critical distinction that emphasizes its political and revolutionary origins. 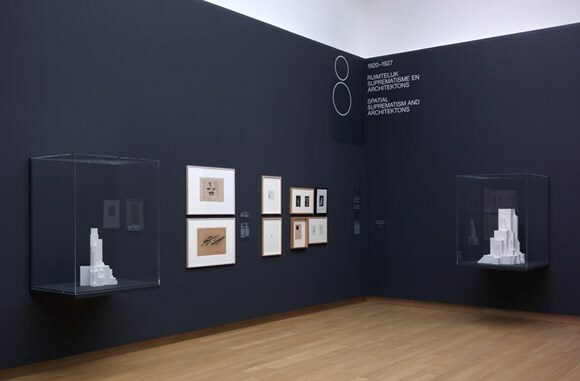 The Stedelijk exhibition closes on February 2nd, and will open again in March at the Bundeskunsthalle in Bonn, Germany, before ending the year at the Tate Modern. This entry was posted on Wednesday, January 29th, 2014 at 12:00 am	and is filed under Art News. You can follow any responses to this entry through the RSS 2.0 feed. You can leave a response, or trackback from your own site.